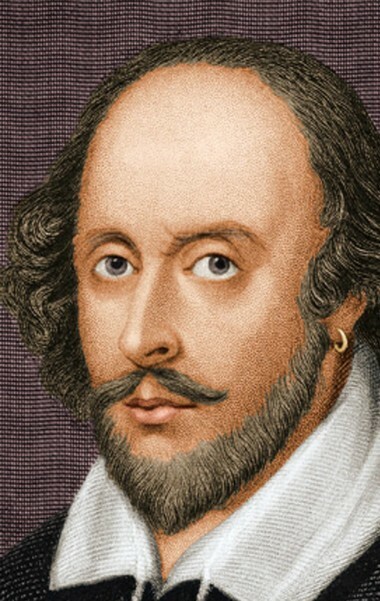 Much ado about nothing. That’s the “Russian interference” in the 2016 American election. At times the indictment tells us that the online advertising campaign, led by the shadowy Internet Research Agency of Russia, was meant to divide the American people, not influence the 2016 election. The Russians supposedly wished to cause “divisiveness” in the American people, particularly around controversial issues such as immigration, politics, energy policy, climate change, and race. The Russian operation began four years ago, well before Trump entered the presidential race, a fact that he quickly seized on in his defense. “Russia started their anti-US campaign in 2014, long before I announced that I would run for President,” he wrote on Twitter. The CIA emptied the US treasury of millions to finance the conservative Liberal Democratic Party in parliamentary elections, “on a seat-by-seat basis”, while doing what it could to weaken and undermine its opposition, the Japanese Socialist Party. The 1961-63 edition of the State Department’s annual Foreign Relations of the United States, published in 1996, includes an unprecedented disclaimer that, because of material left out, a committee of distinguished historians thinks “this published compilation does not constitute a ‘thorough, accurate, and reliable documentary record of major United States foreign policy decisions’” as required by law. The deleted material involved US actions from 1958-1960 in Japan, according to the State Department’s historian. After the Duvalier dictatorship came to an end in 1986, the country prepared for its first free elections ever. However, Haiti’s main trade union leader declared that Washington was working to undermine the left. US aid organizations, he said, were encouraging people in the countryside to identify and reject the entire left as “communist”. Meanwhile, the CIA was involved in a range of support for selected candidates until the US Senate Intelligence Committee ordered the Agency to cease its covert electoral action. For four months (March-June), a group of veteran American political consultants worked secretly in Moscow in support of Boris Yeltsin’s presidential campaign. Boris Yeltsin was being counted on to run with the globalized-free market ball and it was imperative that he cross the goal line. The Americans emphasized sophisticated methods of message development, polling, focus groups, crowd staging, direct-mailing, etc., and advised against public debates with the Communists. Most of all they encouraged the Yeltsin campaign to “go negative” against the Communists, painting frightening pictures of what the Communists would do if they took power, including much civic upheaval and violence, and, of course, a return to the worst of Stalinism. Before the Americans came on board, Yeltsin was favored by only six percent of the electorate. In the first round of voting, he edged the Communists 35 percent to 32, and was victorious in the second round 54 to 40 percent. The National Endowment for Democracy worked for several years with the opposition to the governing Mongolian People’s Revolutionary Party (MPRR, the former Communists) who had won the 1992 election to achieve a very surprising electoral victory. In the six-year period leading up to the 1996 elections, NED spent close to a million dollars in a country with a population of some 2.5 million, the most significant result of which was to unite the opposition into a new coalition, the National Democratic Union. Borrowing from Newt Gingrich’s Contract With America, the NED drafted a “Contract With the Mongolian Voter”, which called for private property rights, a free press and the encouragement of foreign investment. The MPRR had already instituted Western-style economic reforms, which had led to widespread poverty and wiped out much of the communist social safety net. 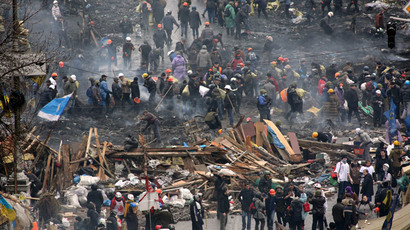 But the new government promised to accelerate the reforms, including the privatization of housing. By 1998 it was reported that the US National Security Agency had set up electronic listening posts in Outer Mongolia to intercept Chinese army communications, and the Mongolian intelligence service was using nomads to gather intelligence in China itself. Effectively an American protectorate, with Carlos Westendorp – the Spanish diplomat appointed to enforce Washington’s offspring: the 1995 Dayton peace accords – as the colonial Governor-General. Before the September elections for a host of offices, Westendorp removed 14 Croatian candidates from the ballot because of alleged biased coverage aired in Bosnia by neighboring Croatia’s state television and politicking by ethnic Croat army soldiers. After the election, Westendorp fired the elected president of the Bosnian Serb Republic, accusing him of creating instability. In this scenario those who appeared to support what the US and other Western powers wished were called “moderates”, and allowed to run for and remain in office. Those who had other thoughts were labeled “hard-liners”, and ran the risk of a different fate. “Our hearts have been broken because we thought we could have beaten Mr. Karzai if this had been a true election,” said Sayed Mustafa Sadat Ophyani, campaign manager for Younis Qanooni, Karzai’s leading rival. “But it is not. Mr. Khalilzad is putting a lot of pressure on us and does not allow us to fight a good election campaign.”. Because nerve agents are complex to make, they are typically not made by individuals, but rather by states. British Foreign Secretary Boris Johnson has said that the Skripal case had “echoes” of what happened to Alexander Litvinenko, a former KGB Operative who British officials believe was poisoned in London by Russian agents in 2006, becoming the first victim of lethal polonium-210-induced acute radiation syndrome. Before he died, he spoke about the misdeeds of the Russian secret service and delivered public deathbed accusations that Russian president Vladimir Putin was behind his unusual malady. But hold on. Skripal was sent to Britain by the Russian government eight years ago in an exchange of spies. Why would they want to kill him now, and with Putin’s election coming up? And with the quadrennial football (soccer) World Cup coming up soon to be played in Russia. Moscow is very proud of this, publicizing it every day on their international television stations (RT in the US). A murder like this could surely put a serious damper on the Moscow festivities. So if Russia is not responsible for Skripal’s poisoning, who is? Well I have an idea. I can’t give you the full name of the guilty party, but its initials are CIA. US-Russian Cold Wars produce unmitigated animosity. As but one example, the United States boycotted the Olympics that were held in the Soviet Union in 1980, because of the Soviet invasion of Afghanistan. The Soviet Union then boycotted the 1984 Olympics in Los Angeles. 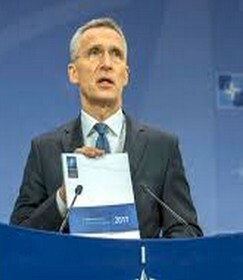 That is, if they pay any attention to the movement of NATO troops in this part of the world. At least one substantial part of an incredibly deadly and aggressive force has been gradually relocated, from an ‘uncertain’ and according to the West suddenly ‘unreliable’ country (Turkey), to the impoverished but obedient Kingdom of Jordan. Is the West really losing Turkey? Nobody knows. Most likely, nobody in Ankara is sure, either, including Mr. Erdogan. But what if … What if Erdogan moves closer to Russia, even to China? What if Turkey’s relationship with Iran improves? What if Ankara has finally gotten tired of being humiliated, for years and decades, by the European Union? And what if it does not want to follow Washington’s diktat, anymore? These ‘nightmarish’ scenarios are most likely turning many apparatchiks in Brussels, Washington and London, into insomniacs. NATO does not want to leave anything to chance. If not Turkey, then where? Where should all those nukes, fighter jets, bombers and ‘Western military advisors’ go? Incirlik, a giant air base located right on the outskirts of the Turkish city of Adana used to just be the perfect place. 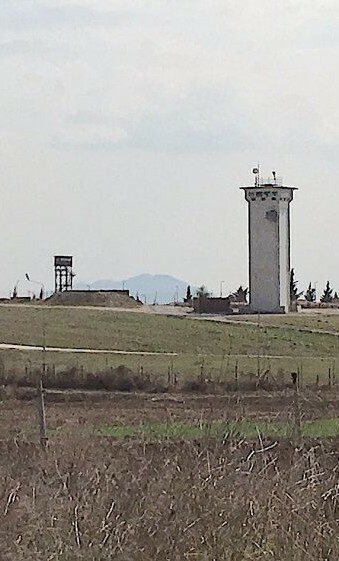 Incirlik has been, for many years, the most important and lethal air force base in the Middle East, from which the West has been intimidating and directly attacking various targets in the region, and where, as many Turkish experts believe, numerous extremist jihadi cadres operating in Syria and elsewhere, have been receiving their training. Anything the West wants to bomb, be it in Syria, Iraq, or potentially Iran, Lebanon, Yemen or even Afghanistan, Incirlik is there, with perfect infrastructure and a ‘fantastic’ geographical location. For NATO, a dream-come-true place, really! But only until recently; until Mr. Erdogan’s era, until the 2016 failed coup, and the consequent, incomprehensible, but real ‘Turkish rebellion’. Suddenly, Turkey is ‘not trusted anymore’; at least not in the Western capitals. That is perhaps very good for Turkey and its future, but definitely not for NATO. So where to move Incirlik, really? The Kingdom of Jordan seems to be the best candidate. Conveniently, it is greatly impoverished, and it has been historically submissive to its Western handlers. It is essentially dependent on foreign, mainly Western, aid and would do just about anything to please the rulers in Washington, London or Berlin. Most importantly for the West, Amman is sufficiently oppressive, lacking any substantial opposition. If dissent gets too vocal, its members get kidnapped and tortured. Therefore, it is natural that both Europeans and North Americans feel safe and at home here. In 2017, the German Wermacht moved its soldiers, pilots and Tornados, more than 200 people and dozens of airplanes in total, to Al-Azraq base, which is located only some 30 kilometers from the border with Saudi Arabia, and a similar distance from Syria. Iraq is just 200 kilometers away. It is obvious that Angela Merkel and Recep Erdogan feel a certain (some would say ‘great’) distaste for each other. It is also a well-known fact that NATO countries like to work closely with oppressive, market-oriented and obedient countries. And this won’t change, according to Udo Steinbach, who was in charge of the Hamburg-based German Orient Institute for many years. “He was a man of the West, he is a man of the West, and he has no alternative whatsoever to being a man of the West,” Steinbach said. 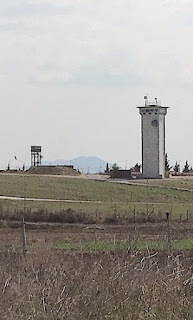 NATO has been already using Muwaffaq Salti airbase near Al-Azraq, for years, mainly to illegally bomb numerous targets located on the Syrian soil. In Brussels, Al-Azraq is truly a ‘household name’, as it has been used by both NATO and the EU air forces, concretely by the Belgians (2014-2015), and now both Dutch and Germans. The US air forces were operating from here already for several years. The base is situated in yet another gloomy part of the Middle East; economically depressed, with countless small businesses and factories that have been closing down and now rusting and rotting, and with the almost totally drained-out Azraq Wetlands Reserve – an oasis once renowned as a ‘migratory birds’ sanctuary’. The oasis used to extend almost all the way to the border with Saudi Arabia. Now most of the territory of the ‘reserve’ is dry. Not many birds would fly here, anyway, as they’d be confronted with the deafening roar of airplane engines and the engine-testing facilities, not unlike those that I witnessed in Okinawa. The people who come to this corner of Jordan are mostly ‘adventurous’ Western tourists, ready to ‘explore’ the nearby castle which was once used as a base by the glorified sinister British intelligence agent, Thomas Edward Lawrence, otherwise known as “Lawrence of Arabia”. They also come to visit ‘wildlife reserves’ and several smaller archeological sites. There is a “US Aid” sign screwed into the wall near the entrance to the inn. And there are countless black and white historical photos of the area, decorating the walls, as well as a figurine of a soldier wearing an old British colonial uniform. Azraq town is dusty and half-empty. It is surrounded by the brutally dry desert. There are countless ruins of houses and services lining up along the main road. Some people live in misery, in torn up tents. I stopped near a cluster of humble dwellings. An old woman wearing a black dress waved a cane at me, threateningly. An old-looking man approached the car. He extended his hand towards me. It was wrinkled and hard. I shook it. I had no idea how old he was; most likely not too old, but he looked tired and dejected. I asked him, whether Jordanian people would mind having this deadly air force base expanding into their area, in their country? After all, the only purpose of it is to brutalize fellow Arab nations, while killing countless innocent human beings. Back in Amman, I met several friends, mainly foreigners, who have been working here. Al-Azraq is not only a large air force base. It is also a place synonymous with one of the major refugee camps in the Middle East. It is a new camp, built in the middle of the desert, designed to accommodate mainly Syrian people fleeing the war. In 2016 and 2017 I worked here, or more precisely, I tried to work, before being chased away by aggressive local security forces. Refugee crises, the Western military bases, foreign aid and tourism, these are the main sources of income for the Kingdom of Jordan. In a sinister, surreal way, everything here comes around in a big circle, ‘makes perverse sense’: ‘Entire countries are being flattened from the military bases, which Jordan is willing to host on its territory; of course, for a hefty fee. Consequently, hundreds of thousands of desperate refugees would continue to flood to this ‘island of stability in the Middle East’, bringing further tens, even hundreds of millions of dollars in foreign aid into the coffers of Amman.’ No industry, production, or hard work is really needed. Could this arrangement be defined as ‘immoral’? ‘And does it really matter?’ I was told on several occasions, during this as well as during my previous visits to the Kingdom of Jordan, that ‘nobody cares’. Almost all ideology, together with the spirit of solidarity and internationalism, has already been destroyed by the Western-sponsored education and media indoctrination programs and campaigns, camouflaged as ‘help’ and ‘aid’. I say ‘almost’, because now, a flicker of hope is once again emerging. Not everything is lost, yet. A neighboring country – Syria – is still standing. It has fought and lost hundreds of thousands of its people, but it has almost managed to defeat the brutal Western intervention. This could be the most important moment in modern Arab history. The people of the Middle East are watching. The people of Jordan are watching. Turkish people are watching. Apparently, the imperialists can be defeated. Apparently, collaboration is not the only way how to survive. The huge NATO air force base is slowly moving from Turkey to Jordan. While harshly condemning the Salisbury nerve agent attack, the Labour Party's leftist leader requested evidence that the Russian government carried it out. A deluge of smears followed. The leftist leader of Britains opposition Labour Party is under attack, simply because he calmly called for an investigation in line with international law. On March 4, a former Russian spy who had been a double agent for the British government was found unconscious in Salisbury, England. Sergei Skripal and his daughter Yulia had reportedly been poisoned, and were hospitalized in critical condition. A week later, the United Kingdoms Conservative Prime Minister Theresa May claimed the Russian-made nerve agent Novichok had been used in the attack. JEREMY CORBYN: The attack in Salisbury was an appalling act of violence. Nerve agents are abominable if used in any war. It is utterly reckless to use them in a civilian environment. The Russians were allegedly researching, in the “Novichok” programme a generation of nerve agents which could be produced from commercially available precursors such as insecticides and fertilisers. This substance is a “novichok” in that sense. It is of that type. Just as I am typing on a laptop of a type developed by the United States, though this one was made in China. "This use of a military-grade nerve agent, of a type developed by Russia, constitutes the first offensive use of a nerve agent in Europe since the Second World War." “Lutsenko called to go on offensive from the podium. He promised weapons. I saw armed people arriving in a blue van. Those people are now in the parliament,” she said. Adding that she saw “[current Rada Speaker Andriy] Parubiy leading the snipers to the hotel ‘Ukraine’,” from which shots were later fired. “Ukrainians, just think about it. Who of you never thought about taking down that government just like they were calling on us to do at all the Maidan protests? Who didn’t think about blowing up [the president’s administration] or [the Parliament]? “Are we living in 1937, Stalin’s times, when thinking about such things is a crime? Talking about it in the street? Only a lazy person now does not say such things,” she told journalists. 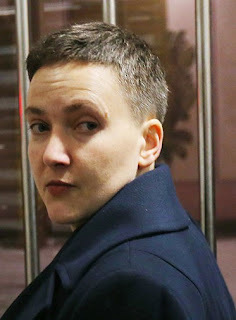 Earlier Savchenko publicly supported Ruban, who has a long record of acting as an intermediary for prisoner swaps between the eastern Ukrainian rebels and forces loyal to Kiev. Savchenko, who was a military service member before rising to prominence in Ukraine, has been a vocal supporter of such exchanges. She has also been advocating a reduction of violence in eastern Ukraine and direct talks between Kiev and the rebels, a measure that the Ukrainian government strongly rejects. Savchenko became a public figure after being arrested in Russia, where she was accused of being an accessory to the murder of two Russian journalists, who were killed by mortar shelling while reporting on the Ukrainian conflict. Russian law enforcement said the shelling deliberately targeted the non-combatants and that Savchenko served as a target spotter for the mortar crew behind the killings. She was tried and sentenced to 22 years in prison for the crime. 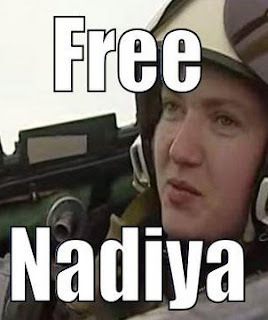 While in pre-trial detention in Russia, Savchenko was elevated to celebrity status in Ukraine and in the Western media, where she was depicted as a heroic figure persecuted by Moscow. She was elected as an MP in absentia, appointed a member of Ukraine’s delegation to PACE and made into a symbol of struggle against Russia. Savchenko was pardoned by Russian President Vladimir Putin and returned to Ukraine in May 2016. There she proved to be an independent character and did not follow the mainstream narrative about the situation in Ukraine. Within months she alienated the very politicians who had scored political points via her image and became a fierce critic of President Petro Poroshenko over his perceived corruption and lack of support for the Ukrainian Army. Critics branded her a Kremlin plant, claiming she must have been recruited while in detention. Below is the text of a statement condemning Russia that was issued jointly by the United States, Britain, Germany and France on March 15. The four countries say it is “highly likely” that Russia staged a chemical poisoning in England on March 4 of two former Russian nationals now living in the country, Sergei Skripal and his daughter Yulia. What evidence for the accusation do the four-countries provide? None. Instead, they string together impressions which do not even amount to circumstantial evidence. They say “there is no plausible alternative explanation”. They cite that Russia did not respond to Prime Minister Theresa May’s ultimatum late on March 12 that Russia furnish proof of its innocence of Britain’s accusations within 24 hours. And lastly, they cite an unnamed “pattern of earlier irresponsible Russian behavior”. The 1997 Chemical Weapons Convention outlawed the use of chemical weapons. The Organisation for the Prohibition of Chemical Weapons (OPCW) was established to enforce the convention. 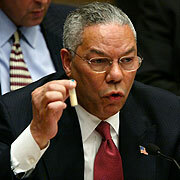 The OPCW has a strict protocol for examining alleged violations. In this present case, Britain and now its three allies have declined to take their ‘evidence’ to the body, despite Russian government demands that Britain do so. A former chemical scientist named Vil Mirzanyanov who worked in the Soviet Union and now lives in the U.S. claims he developed ‘Novichoks’. He published a book in 2007 titled State Secrets: An Insider’s Chronicle of the Russian Chemical Weapons Program containing what the author claims to be the very formula for the mysterious chemical. In an interview on March 14, Mirzanyanov says he is convinced the Russian government carried out the alleged March 4 attack in England. He told AFP that Sergei Skripal was no threat to Russia but the Kremlin could have killed him just to intimidate potential opponents. Mirzanyanov also said that ‘Novichoks’ are “ten times” more powerful than the deadly VX nerve agent, the one that allegedly killed a North Korean diplomat in Singapore (though not his attackers). Somehow, Sergei Skripal and his daughter survived the ‘Novichok’ attack on March 4. In October 2017, the OPCW confirmed the destruction of the last of Russia’s chemical weapon stockpile in accordance with the 1997 convention. Chlorine and white phosphorus are not outlawed by the Chemical Weapons Convention, but their use in warfare is outlawed. Both chemicals burn the skin and lungs; they are not nerve gases. Chlorine is a less effective substance to use as a chemical weapon compared to nerve gases because chlorine dissipates in wind or rain. White phosphorus is a powder which is delivered by bombs or artillery shells. Human Rights Watch said on June 14, 2017 that U.S. forces should “take all feasible precautions to minimize civilian harm” when using white phosphorus weapons. According to Wikipedia, 96 per cent of the world’s chemical weapons stockpiles have been destroyed by the year 2017. Conventional weapons, nuclear weapons, and chemical bombs and shells disguised as ‘conventional’ have seen no such decline. Scientist Stephen Hawking spoke out against wars, called for action against climate change, and defended socialist programs - Ben Norton reports. According to President Macron, "France is back" (in English in the text), and intends to play an international role once more, after ten years of abandon. However, Emmanuel Macron has never yet explained what might be the policy he intends to apply. Picking up the elements he has already developed in these columns, and placing them in the European context as well as the context of this country’s History, Thierry Meyssan analyses the change of direction which has just been announced. When Emmanuel Macron began his campaign for the Presidency of the French Republic, he knew nothing about international relations. His mentor, Jean-Pierre Jouyet, head of the General Inspectorate of Finances (a corps of 300 senior civil servants), made sure he was given accelerated training. France’s prestige had been considerably depleted by its two former Presidents, Nicolas Sarkozy and François Hollande, the position of France perceived as "inconsistent" due to its absence of priority and its innumerable changes of direction. This was the reason Macron began his mandate by meeting as many heads of state and government as possible, demonstrating that France was repositioning itself as a mediating power, capable of talking to anyone. After having shaken hands and distributed dinner invitations, however, he had to give a content to his policy. Jean-Pierre Jouyet  proposed that France remain in the Atlantist camp, gambling on the US Democrats who, in his opinion, should soon be back in the White House, perhaps even before the elections of 2020. When the British were leaving the European Union, France confirmed its close alliance with London while maintaining its relationship with Berlin. The Union had to be recentred on the governance of the Euro. It would put an end to free exchange with partners who did not respect it, and would create huge enterprises on the Internet capable of rivalising with those of the GAFA (Google, Apple, Facebook, Amazon). It should also develop a common defence against terrorism. With its allies, it would engage in the struggle against the Russian influence. Finally, France would pursue its military action in Sahel and the Levant. In September 2017, Jean-Pierre Jouyet was nominated as French ambassador to London. In January 2018, France and the United Kingdom relaunched their diplomatic and military cooperation . Still in January, the two states formed a secret authority, the "Little Group", to reprise the Franco-British colonisation of the Levant . This policy, which has never been discussed in public, not only ignores the History of France, but also the German demand to play a more important international political role. Indeed, seventy years after its defeat, the fourth economy in the world is still limited to a secondary role . 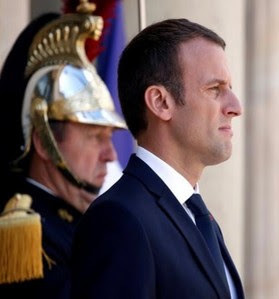 Concerning the Arab world, President Macron – an ENA alumnus (Ecole Nationale d’Administration) and ex-collaborator with Rothschild & Co - adopted the point of view of his two consultants on the subject. They were the Franco-Tunisian Hakim El Karoui (another ex-Rothschild & Co) for the Maghreb, and ex-ambassador to Damascus Michel Duclos – another ENA alumnus – for the Levant. El Karoui is not a product of Republican integration, but of the transnational haute bourgeoisie. He alternates a Republican attitude on the international plane, with another, communitarian, on the interior. Duclos is an authentic neo-conservative, trained in the USA under George W. Bush by Jean-David Levitte . El Karoui has still not understood that the Muslim Brotherhood is an instrument of the British MI6, just as Duclos has still not understood that London has not yet digested the Sykes-Picot-Sazonov agreements which caused the loss of half of its empire in the Middle East . Consequently, the two men see no problem with the new "entente cordiale" with Theresa May. We may already note certain incoherencies in this policy. In application of the decisions of the "Little Group", France has re-adopted the habit of President Hollande’s team of relaying to the UNO the positions of its employees in the Syrian opposition (those who pay allegiance to the flag of the French mandate in Syria ). But times have changed. The letter by the current President of the Syrian Negotiation Committee, Nasr al-Hariri, transmitted to the Security Council in the name of France, insults not only Syria, but also Russia . It accuses one of the two major military powers in the world  of perpetrating crimes against Humanity, which contravenes the "mediating" position of a permanent member of the Council. While Moscow preferred to ignore this slip of the tongue, Damascus replied angrily . Finally, the policy of Emmanuel Macron is almost the same as that of Nicolas Sarkozy and François Hollande, even though, because of the presence of Donald Trump in the White House, it relies more on the United Kingdom than the United States. The Elysée pursues the idea of an economic recovery for its multinationals – not in France but in its erstwhile colonial Empire. These are the same choices as those made by the Socialist Guy Mollet, one of the founders of the Bilderberg Group . In 1956, the President of the French Council allied himself with London and Tel-Aviv in order to conserve France’s shares in the Suez Canal, which had been nationalised by President Gamal Abdel Nasser. Mollet proposed to his British counterpart, Anthony Eden, that France join the Commonwealth and pay allegiance to the Crown, and that the French people adopt the same civil status as the population of Northern Ireland . This project for the abandon of the Republic and the integration of France into the United Kingdom under the authority of Queen Elizabeth II was never discussed publicly. Never mind the ideal of equal rights exposed in 1789 and the rejection of colonialism expressed by the French People when they were faced with the aborted coup d’etat of 1961  – in the eyes of Power, foreign policy has nothing to do with democracy. “From the Saint-Simon Foundation to Emmanuel Macron”, by Thierry Meyssan, Translation Anoosha Boralessa, Voltaire Network, 16 April 2017. “The Franco-British « Entente cordiale »”, by Thierry Meyssan, Translation Pete Kimberley, Al-Watan (Syria) , Voltaire Network, 30 January 2018. This is also the case for Japan. Jean-David Levitte, alias « Diplomator », was the permanent French representative to the United Nations in New York (2000-02), then ambassador to Washington (2002-07). From the British point of view, the Sykes-Picot-Sazonov agreements of 1916 are not a fair sharing of the world between the three empires, but a concession made by the United Kingdom to ensure the support of France and Russia (Triple Alliance) against the German Reich, the Austro-Hungarian Empire and Italy (Triplice). “France: seeking old mandate in Syria”, by Sarkis Tsaturyan, Oriental Review (Russia) , Voltaire Network, 6 October 2015. In 1932, France imposed a new flag on mandated Syria. It is composed of three horizontal bands representing the dynasties of the Fatimides (green), the Omeyyades (white) and the Abbasides (black), symbolic of the Chiite Muslims for the first and the Sunnis for the two others. The three red stars represent the three minorities - Christian, Druze and Alaouite. This flag was still in force at the beginning of the Syrian Arab Republic, and returned in 2011 with the Free Syrian Army. “Russia and Syria charged by France”, by François Delattre, Voltaire Network, 9 February 2018. “The new Russian nuclear arsenal restores world bipolarity”, by Thierry Meyssan, Translation Pete Kimberley, Voltaire Network, 6 March 2018. “Syria’s response to France”, Voltaire Network, 28 February 2018. “When Britain and France nearly married”, Mike Thomson, BBC, January 15, 2007. « Frangland? UK documents say France proposed a union with Britain in 1950s : LONDON: Would France have been better off under Queen Elizabeth II? », Associated Press, January 15, 2007. Guy Mollet was not accepting the proposition for a Franco-British Union as it was formulated by Winston Churchill and Anthony Eden in 1940, after the French defeat, to create a provisional fusion of the two nations in order to fight the Nazi Reich. He was in fact inspired, in the context of the Suez crisis and the hope of saving the French Empire, by the proposition of Ernest Bevin, eleven years earlier, to create a third block against the USA and the URSS, by joining the British, French and Dutch empires within the framework of a Western Union. This project was abandoned by London for the benefit of the CECA (ancestor of the European Union) on the economic level, and NATO on the military level. As recently as 2016 Dr Robin Black, Head of the Detection Laboratory at the UK’s only chemical weapons facility at Porton Down, a former colleague of Dr David Kelly, published in an extremely prestigious scientific journal that the evidence for the existence of Novichoks was scant and their composition unknown. Yet now, the British Government is claiming to be able instantly to identify a substance which its only biological weapons research centre has never seen before and was unsure of its existence. Worse, it claims to be able not only to identify it, but to pinpoint its origin. Given Dr Black’s publication, it is plain that claim cannot be true. "In recent years, there has been much speculation that a fourth generation of nerve agents, ‘Novichoks’ (newcomer), was developed in Russia, beginning in the 1970s as part of the ‘Foliant’ programme, with the aim of finding agents that would compromise defensive countermeasures. "[The SAB] emphasised that the definition of toxic chemicals in the Convention would cover all potential candidate chemicals that might be utilised as chemical weapons. Regarding new toxic chemicals not listed in the Annex on Chemicals but which may nevertheless pose a risk to the Convention, the SAB makes reference to “Novichoks”. Yet Britain refuses to submit it to the OPCW. Why? "One should be mindful that the chemical components or precursors of A-232 or its binary version novichok-5 are ordinary organophosphates that can be made at commercial chemical companies that manufacture such products as fertilizers and pesticides." - Vil S. Mirzayanov, “Dismantling the Soviet/Russian Chemical Weapons Complex: An Insider’s View,” in Amy E. Smithson, Dr. Vil S. Mirzayanov, Gen Roland Lajoie, and Michael Krepon, Chemical Weapons Disarmament in Russia: Problems and Prospects, Stimson Report No. 17, October 1995, p. 21. It is a scientific impossibility for Porton Down to have been able to test for novichoks, without possessing some to develop the tests. 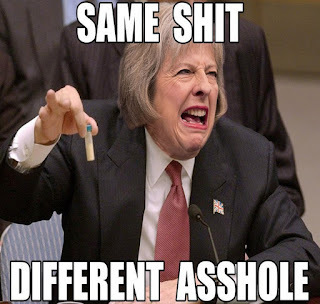 As Dr Black has revealed Porton Down had never seen any Russian novichok, they cannot have a test for it unless they synthesised some themselves to develop the tests. And if they can synthesise it, so can many others, not just the Russians. 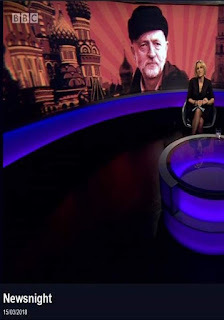 And finally – Mirzayanov is an Uzbek name and the novichok programme, assuming it existed, was in the Soviet Union but far away from modern Russia, at Nukus in modern Uzbekistan. I have visited the Nukus chemical weapons site myself. It was dismantled and made safe and all the stocks destroyed and the equipment removed by the American government, as I recall finishing while I was Ambassador there. There has in fact never been any evidence that any “novichok” ever existed in Russia itself.